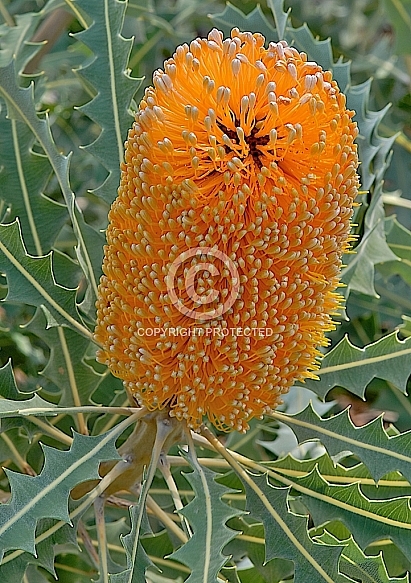 Description: A Western Australia member of the Proteaceae. !5cm long apricot-orange cylindrical flower heads are carried from spring through summer into autumn. Variable growth - 2m under cultivation, up to 8m as a small, gnarled tree in the wild. Prefers winter rainfall, long dry summers, very well-drained soils, sunny positions. Light frosts tolerated.